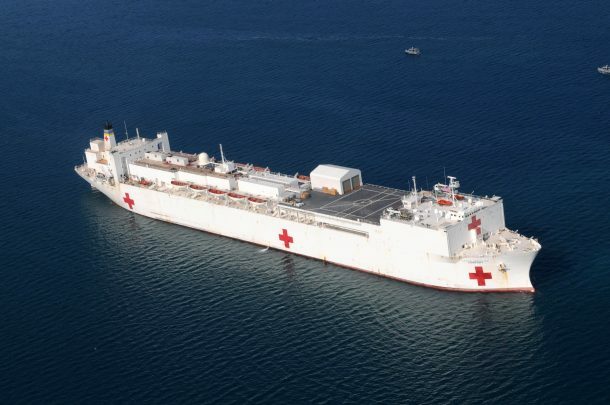 The USNS Comfort is the biggest hospital ship with 700+ doctors and nurses, 5000 bags of blood and 12 different operation theaters. It is among the largest trauma facilities around the world but what distinguishes it from others is that it swims and floats. Comfort and its sister ship, Mercy accounts for the largest hospital ship in the world. Each of these ships is as high as a 10-story building and as long as three football fields joined together. They were both originally oil tankers and were later converted into floating hospitals. 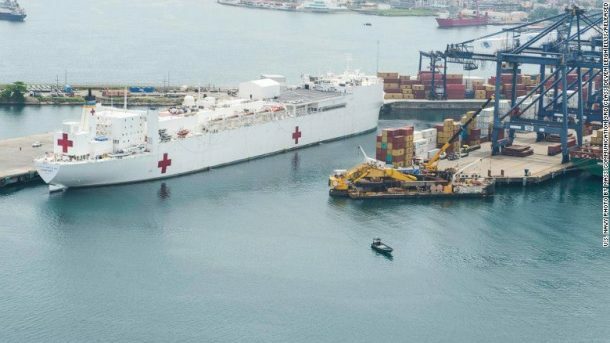 The Comfort has sailed and docked at various ports in Central America, South America and Caribbean for most part of 2015 as part of its humanitarian project called Continuing Promise. Captain Christine Sears is the chief medical officer for this project, her first one aboard any floating hospital. The Comfort carries all the medical equipment and supplies required. The crew performs surgeries on the ship and even set up temporary medical camps at different docking sites. Approximately 30-40 pallets of medical supplies are allocated to each country with the surplus going to the host country. This huge project is funded by the US government and about $40 million are already spent on it, the rest is covered by donations from various NGOs and volunteers helping the medical personnel. “It’s part of our overall military strategy,” explained Captain Sam Hancock, who has been serving in US Navy for more than 25 years. “The partner-nation building, working to develop the relationships with the countries in this region and with the personnel, whether the ministries of health and everything that we work with coming into each country … the relationships that are established will pay dividends in the future,” he said. On all fronts, it is a great initiative but a hospital ship needs more than medical personnel. The Comfort is a highly functional vessel with flight crew, custodian staff, engineers and a kitchen that caters to around 1000 people three times a day. The Continuing Promise Mission made stops at Panama, Colombia, Nicaragua, El Salvador, and many other sites. The crew had set up medical stations at these stops making use of clinics and gymnasiums to provide various medical services like cardiology, eye exams, dentistry, prenatal care, pediatric care, general surgery to name a few. This remarkable vessel is a manifestation of what a trained medical staff can do, even while floating on seas.